March 8, 2019 – TEAM ENTREPRENEURS ENT. 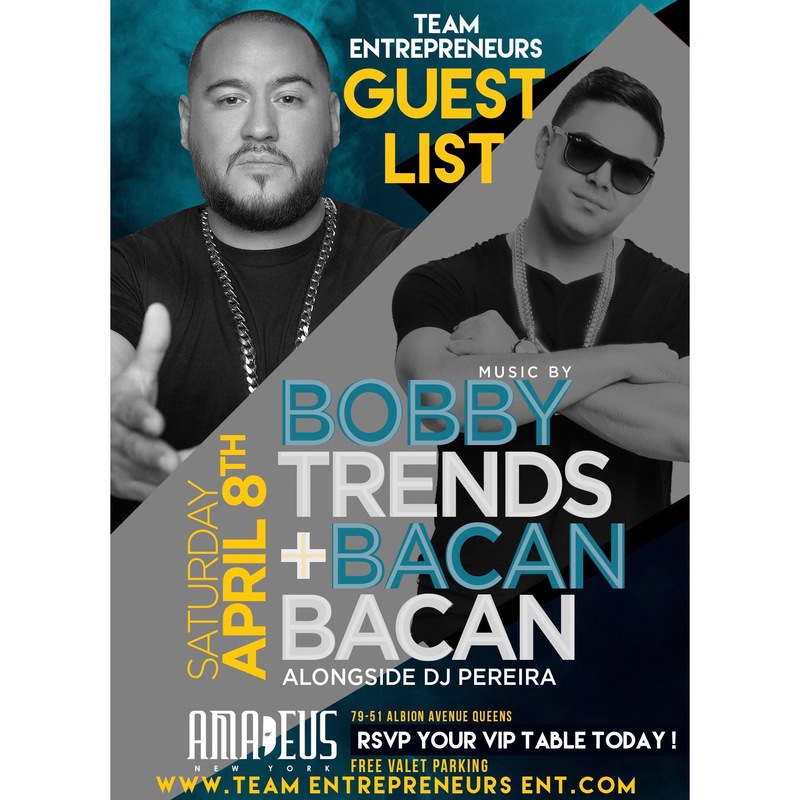 Join Us For The Show Saturdays At @Club.Amadeus.Ny . LONG ISLAND !!! GET READY FOR THE BIGGEST REGGAETON ALL WHITE PARTY WITH “PLAN B” LIVE !!! FRIDAY JUNE 6TH ITS GOING DOWN AT EMPORIUM NIGHT CLUB. FOR MORE INFO OR TO PURCHASE TICKETS CALL JAESTAR @ 631.559.1329.